In this article, we explain the importance of having and using a professional email address when communicating with your clients and providers, its importance, common mistakes and solutions. Its a common mistake where a lot of us dentists underestimate the importance of our online defining digital identification, our email address. I am not saying that you don’t have an email address , because you had to sign in to OziDent.com via your email address just to read this article, but what I am trying to get to is how important your email address is chosen. Many can’t differentiate between having a business and a personal email address and they usually end up with both the same, which has been a common mistake for many professionals. A professionally designed and written email address is a crucial factor to maintain a successful dental practice in the new digital era. An email Address is a basically consists of two parts with the symbol ( @ ) between both parts. For Example: [email protected], The first Part is the local-part (mail) and the Last part is the Domain part (ozident.com). These two parts are what defines your email address, thus are the main parts that you should consider when selecting a professional email address. Definitive: Defines who you are and your profession, Your name is a good idea for the local part while the domain part be your company. Memorable: Short and easy to remember, avoid making it too complicated. Branded: Related to the name of you business establishment, a good idea is to use a custom domain to express your brand. Multi-user Email. In other words an email address shared by multiple people (family, partner…etc) due to the fact you can not create and manage your own email, no separate identity, personal issues, or some other “reason”. Example: [email protected]@gmail.com. Its Free and easy to use. That is the only benefit of using a generic email address. 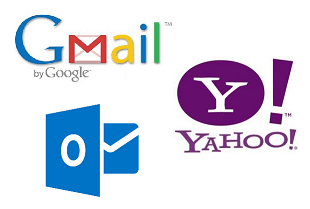 The most commonly used providers are Gmail, Yahoo and Outlook. They aren’t the only ones to say the least. They give you a limited selection of the local-part of the email address (if available ) and no choice on the domain-part. Custom email address are’t free, but provide you with limitless possibilities to find the perfect email address to suit your business. With the freedom of selecting a local-part and domain-part. In addition, The Generic Email providers do as well provide a paid service which will allow you to use the same service as the free one but with a custom domain-part. The domain part is the part that you pay to have it unique to your business. 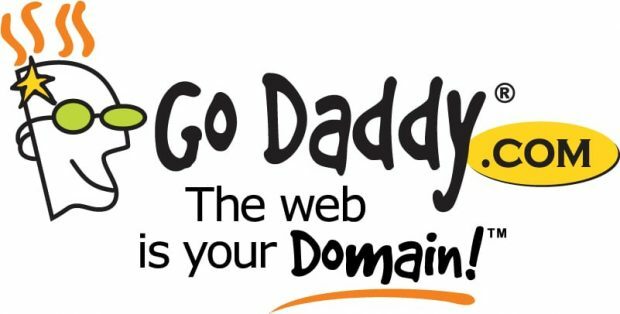 Well first and most thing you need a buy a domain and personally we at OziDent.com have always been proud about the great service that godaddy.com provides for domains and hosting, even though their hosting isn’t the best its still the most accessible and easy to use. With My Referral code you will get 35% discount on your Godaddy purchase and help keep OziDent alive! Email signatures are the last section of the email, which provides a summarized yet detailed contact information, position, specialty and bushiness portfolio. htmlsig.com, Can help create a basic email signature and provide you with some basic customization. Once created, go to the email provider options and search for something called “signature”. Finally simple paste the code and your signture will be automatically added to every email you send from now on. It might seem at first that your email address might not be that important, but it has recently become a sign to give a first impression about your professionalism, thus its important to give a great and respectable first impression to your clients by using a professional email address that ultimately reflects your profession. Very informative and helpful for we youngsters.